Big Kids Rock NYC 2017 – Meet the Bands! 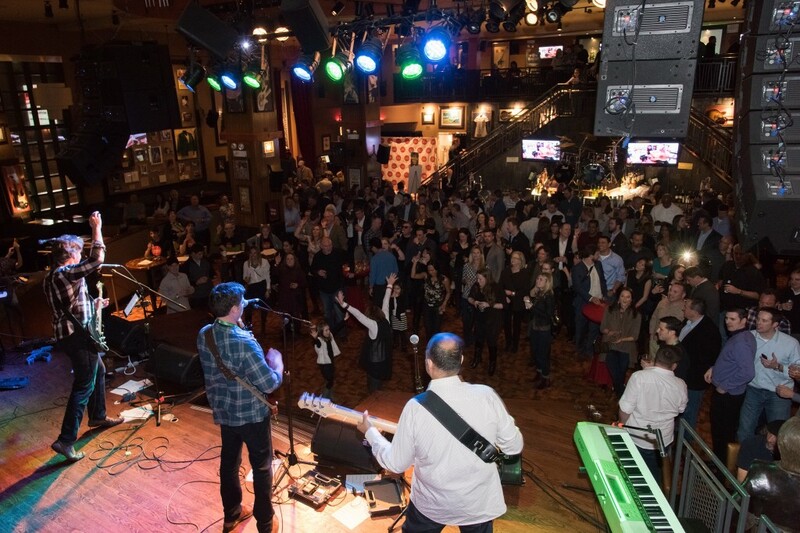 There are only two weeks until three awesome New York City bands take the stage to help raise funds for music education. Let's get pumped for this fast-paced fundraiser by meeting the competition! 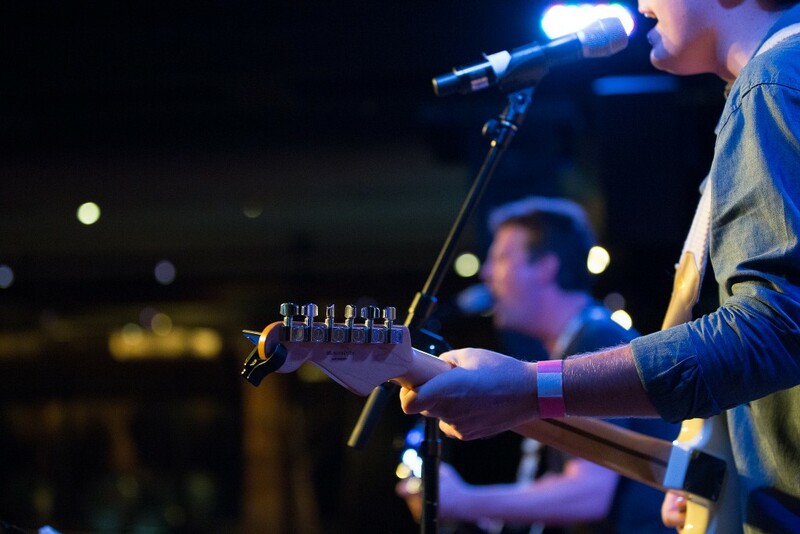 Big Kids Rock Chicago 2017 – Meet the Bands! 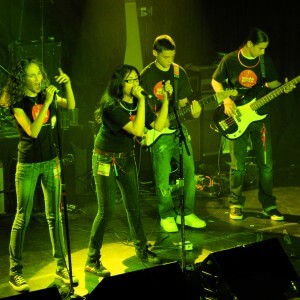 There are only two weeks until three awesome Chicago bands take the stage to help raise funds for music education. Let's get pumped for this fast-paced fundraiser by meeting the competition! 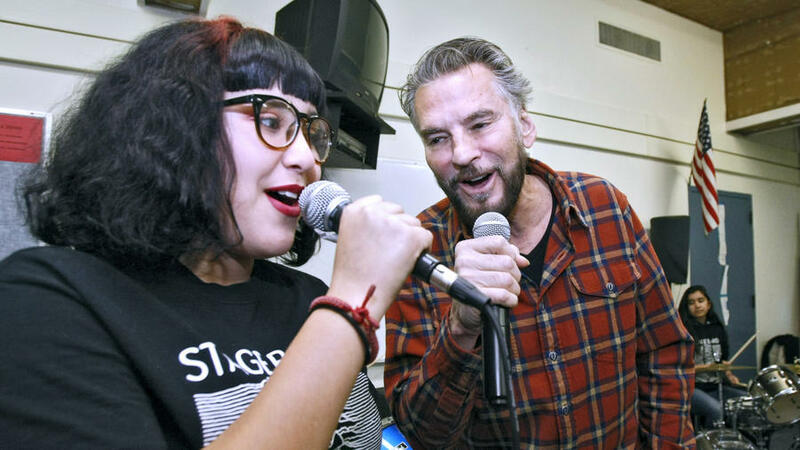 Wilson Middle School Stage Class got a visit from Kenny Loggins during a special visit by the iconic American singer and songwriter to the Glendale school in Thursday, Jan. 26, 2017. 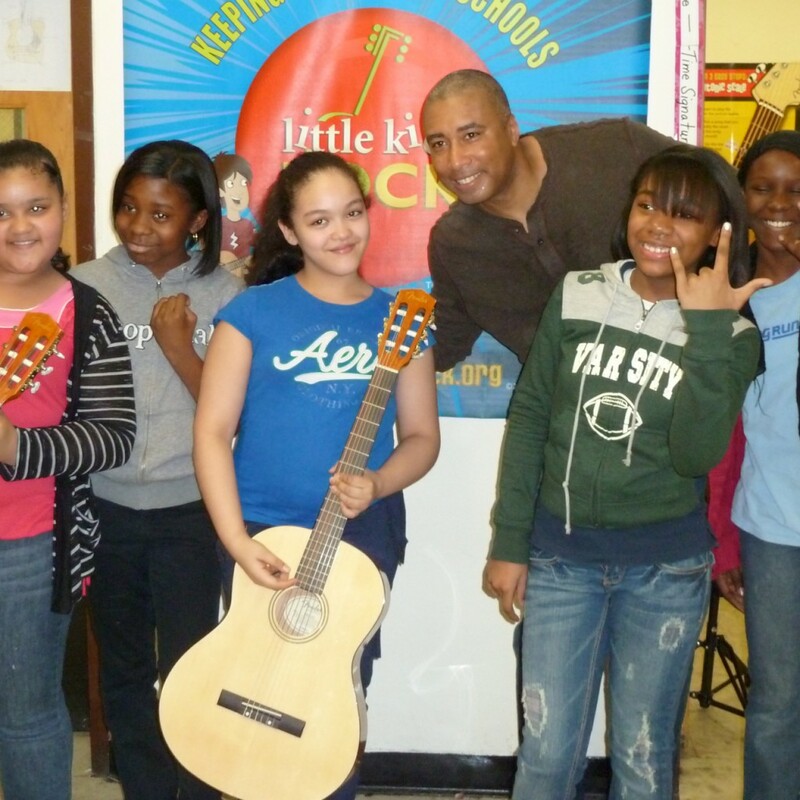 Loggins gave the class tips about the music world and unveiled brand new instruments donated to the school after he helped raise $1.1 million at national nonprofit Little Kids Rock's benefit in New York City recently. 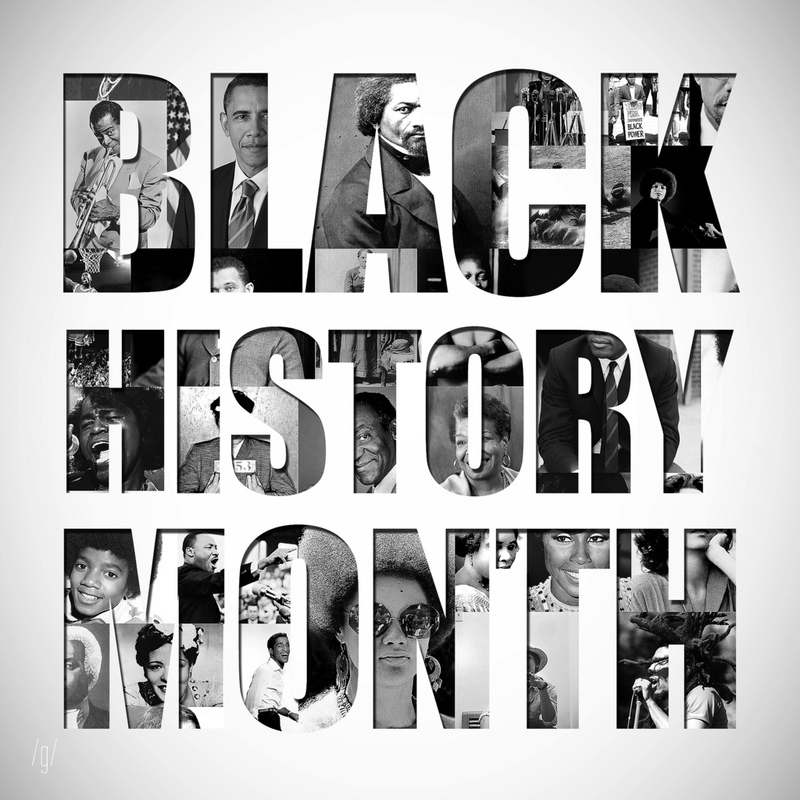 Every February our country celebrates and honors the achievements of black Americans and their great effect on the history of our nation. 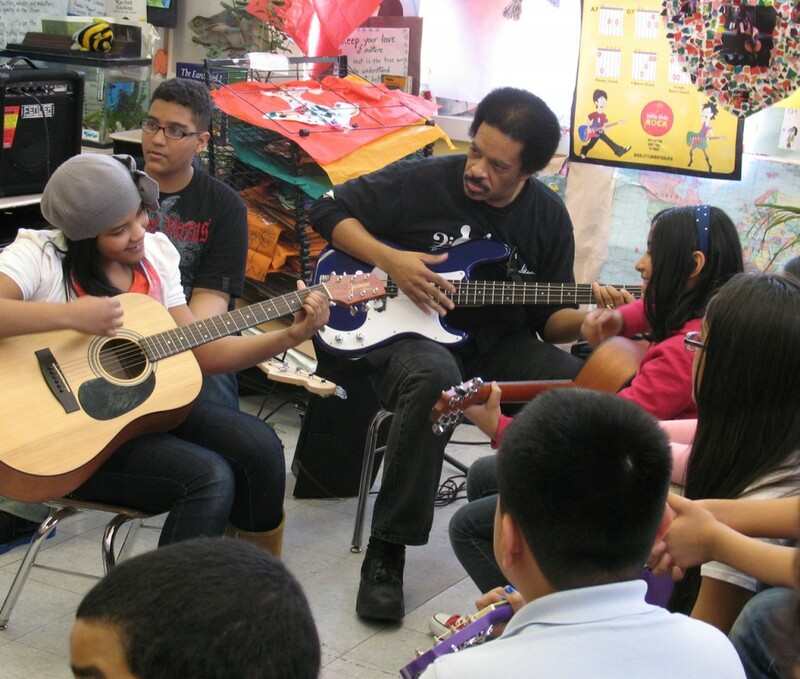 This month Little Kids Rock is highlighting the black musicians who often are underappreciated despite their enormous amount of influence on not just American music, but music around the world. 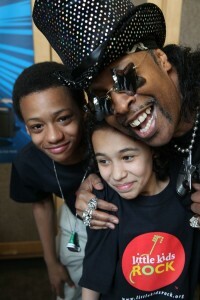 Join us in learning about and jamming to some of the greatest musicians in history! 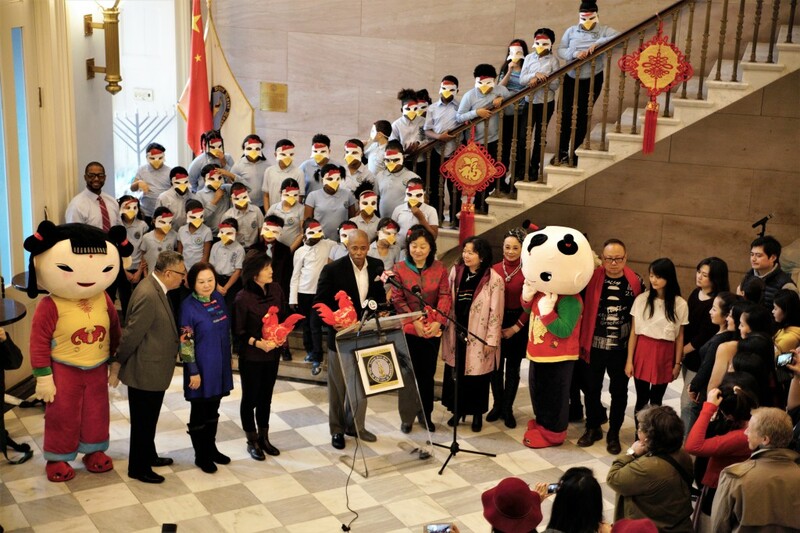 Students from PS149K in Brooklyn Ring in the Chinese New Year Worldwide! Where can you find a growing Chinese population, a lively Chinese New Year celebration and a class of Little Kids Rock students in rooster masks? Brooklyn, of course! 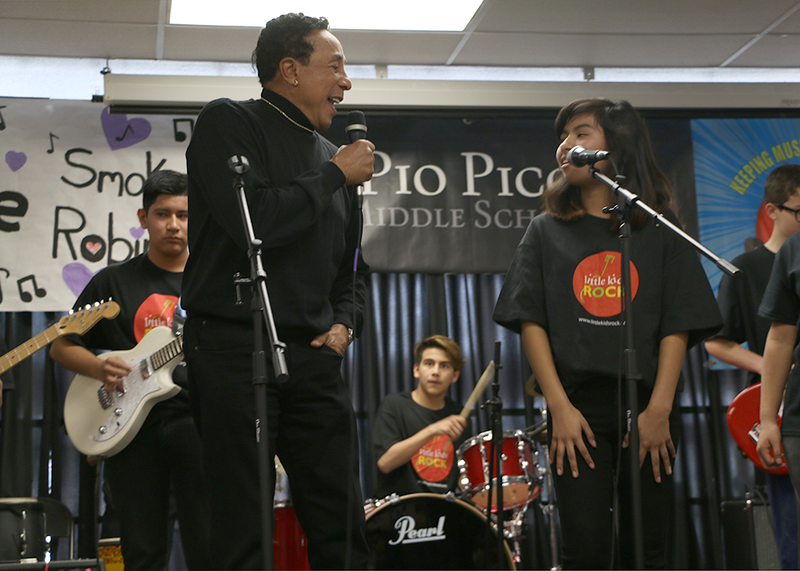 Students at Pio Pico Middle School in Los Angeles were treated to a very special guest at their Wednesday morning performance when Motown icon, Smokey Robinson, took a seat in the front row of their auditorium. The soulful singer was on-hand to deliver new musical instruments to the school and present a $1 million donation from the Niagara Cares charity to Little Kids Rock.